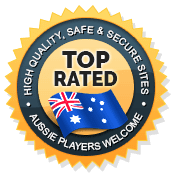 Australian Poker Sites - Top Australia Online Poker 2019! Whether you're looking to try your virtual hand at poker or hit the slots with classic casino games, we've found the best ones that Australia has to offer. Governor of Poker 3 is a great place to explore some exciting multiplayer games with fantastic graphics. It's one of the best Australian casino sites for a reason. With full mobile and PC support you can play whenever and wherever you want, all whilst chatting with your friends as you compete against them. At CardsChat we thoroughly check all these features and more to ensure only the best places to play poker online are listed. So what differentiates the best poker sites from the rest? It's not any one benefit or feature that sets the best online poker sites apart, but a combination of several. The very best poker sites in Australia have to offer a variety of features, which all represent a well-rounded excellence that our top ranked sites all have. Our site reviews break every online poker room down according to these features. In this way, we help Australian poker players find great real cash games, without having to search through dozens of sites. You can even choose one of our top rated Australian mobile poker sites and play from the palm of your hand. Our reviewers have carefully picked these recommended sites to bring you the best options and the hottest action. Truthfully, it's easy to want to start gambling online, but who wants to do all the hard work to find out which sites can be trusted? Our experts have been in the industry for a long time and know exactly what to look for and where you should play in order to get the best results. Where is the best place to play poker online? If you&apos;re looking for a poker room that&apos;s going to offer as much quality in the graphics as it does in the finer details of the gameplay, then [[CASINO]] is for you. And it&apos;s our top Australian poker site for that exact reason. As well as getting a great bonus when you sign up, you&apos;ll also be able to enjoy brilliant multiplayer action that&apos;s bound to have you playing for hours! What&apos;s the competition at online poker sites like? At each of our recommended poker sites, we think the competition level is great. The sheer size of the player base in Australia means that you will easily find games and tournaments. As with any online gambling site, the most amount of traffic comes in the evening. So if you&apos;re playing on an Australian online poker site, you&apos;ll likely find the most amount of competition aligns with Aussie time. This is why most tournaments are held in the evenings. Can I play with Australian dollars? Due to the legislation around online gambling in Australia, none of the poker online options we recommend allow direct real money play. Every site in our suggested list offers up brilliant free play experiences, which may also offer in-play purchases. However, this doesn&apos;t extend to earning real money from any games or tournaments you play. What types of poker can I play online? Which poker sites have the biggest tournaments? We&apos;ve found that Governor of Poker 3 offers the best range of tournaments, with a brilliant combination of frequent events & sizes that range from 10s of people to 100s. You can look forward to daily, weekly, and monthly events that give you an opportunity to match wits with poker players from around the world. The best Australian online poker sites will also offer up regular freerolls and guaranteed tournament offerings. Aussies may also be interested in checking out the latest Online Pokies available today! Struggling to work out whether or not a poker room is going to be worth your time and money? That's where we come in. It's our job to bring you the best online poker rooms out there, and to also point out some of the worst offenders. Players throughout the poker community complained about Full Flush Poker failing to pay out, as well as a lack of payment options (but with crazy fees) and very little game variation. It folded in 2016 and still owes players money. We heard reports of them banning players from certain countries, who were unable to cash out or play and whose funds are trapped. Steer clear of EuroClub Poker and head somewhere with a better reputation. Players are owed millions by this rogue operator, who reportedly covered up scandals and couldn’t honor any of their promotions. Stay safe and only play at our recommended poker rooms.